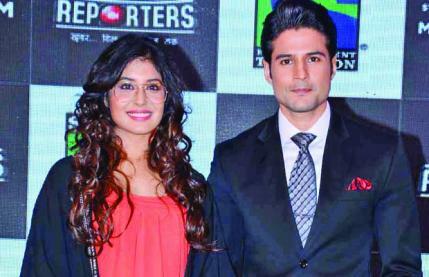 Rajeev Khandelwal and Kritika Kamra are all set to explore the happenings in a newsroom as they take on the role of journalists for their new show, Reporters. Rajeev opines it’s time that someone explored the life of journalists. “I haven’t seen the show The Newsroom but I have done Sach Ka Saamna so I can relate to the pressure reporters feel when they are live on TV and constantly getting instructions over their earpiece. We have had shows on everyone from the lives or film stars to doctors, but very few with a media backdrop. We’re looking at how the media tries to grab eyeballs if a scam happens, what role the media plays, also the interpersonal relationships in the newsroom,” Rajeev says. With saas-bahu shows still drawing maximum eyeballs, will an offbeat show like Reporters work? “I don’t want to compromise on my work, I want to be part of projects that break new ground. The saas-bahu audience may take some time to accept our show but that is because of lack of new content (on the small screen),” Rajeev replies. We’re tempted to ask, as he takes on a show about tell-alls and exposés, has the actor ever hidden something from the media? “Well, I’ve never lied as such but when I got married, I just requested people to leave her (my wife) alone as she isn’t from the industry. Yes, we do lie sometimes but I wouldn’t hide my relationship because I’m sure it would hurt one’s partner. After all these years of interacting with the media, I’m not judgmental about them, I understand the pressure they work under. All I say is — don’t hit below the belt,” Rajeev replies.